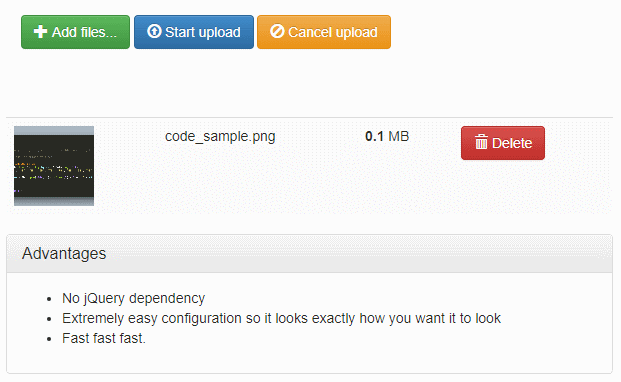 Uploader is a very lightweight Plugin for file uploading using ajax(async) and includes support for queues, progress tracking and drag and drop. It is very configurable and easy to adapt to any Frontend design, and very easy to work along side any backend logic. The focus will be modern browsers, but also providing a method to know when the plugin is not supported. The idea is to keep it simple and lightweight. 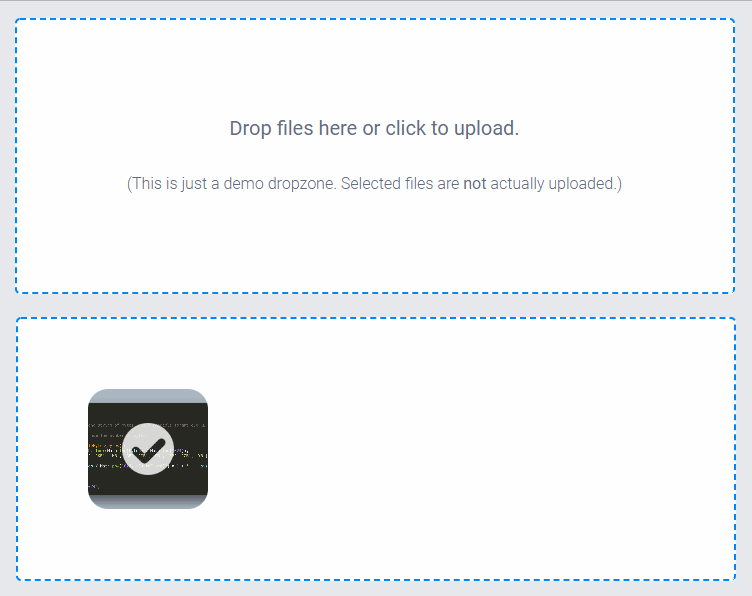 jQuery File Upload is a jQuery plugin that allows you to implement a widget with multiple file selection, drag&drop support, progress bars, validation and preview images, audio and video. Supports cross-domain, chunked and resumable file uploads and client-side image resizing. Works with any server-side platform (PHP, Python, Ruby on Rails, Java, Node.js, Go etc.) that supports standard HTML form file uploads. Uppy is a Sleek, modular file uploader that integrates seamlessly with any JS framework. It fetches files from local disk, Google Drive, Dropbox, Instagram, remote URLs, cameras and other exciting locations, and then uploads them to the final destination. It’s fast, easy to use and let's you worry about more important problems than building a file uploader. Uppy is brought to you by the people behind Transloadit and as such will have first class support for adding their uploading and encoding backend, but this is opt-in, and you can just as easily roll your own. 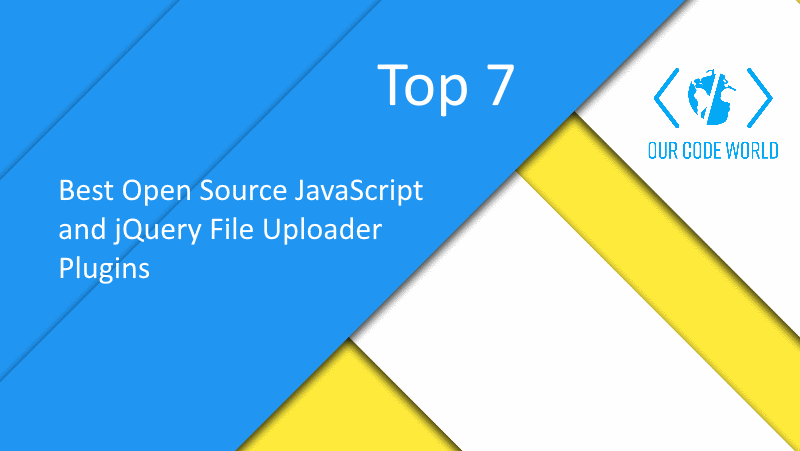 If you know another awesome open source file upload component written in VanillaJS or jQuery, please share it with the community in the comment box.